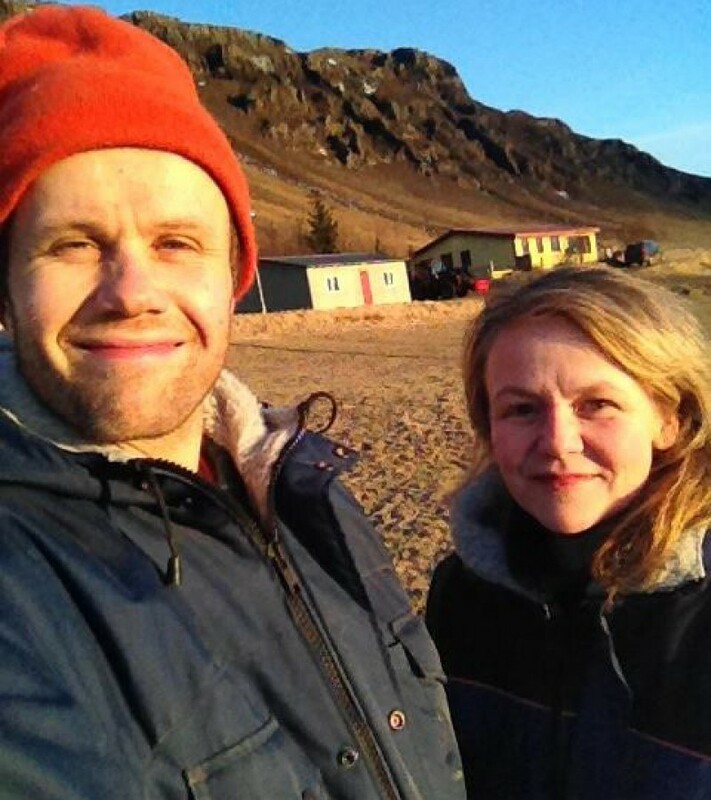 Karlsstaðir í Berufirði. Snakkverksmiðjan er í húsinu lengst til vinstri. / The Karlsstaðir farm. The chips factory on the left side. Undanfarið hafa Svavar og Berglind unnið að þróun á snakki úr gulrófum. 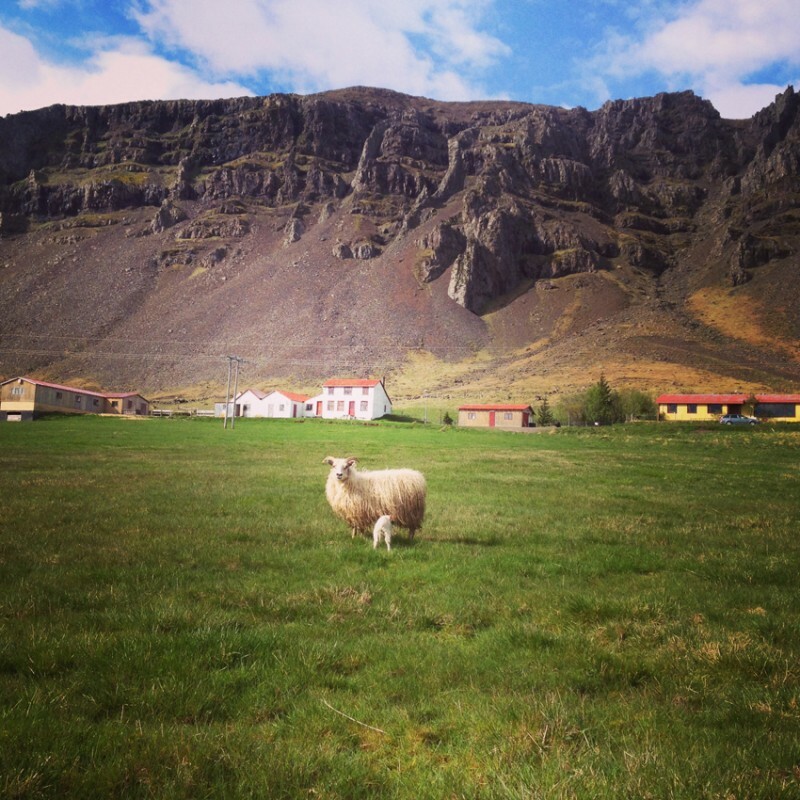 Þeim fannst vanta snakk á markað úr heilnæmum hráefnum sem hægt væri að rækta hér á landi. Gulrófan varð fyrir valinu, sítróna norðursins, stútfull af C-vítamíni og stuði. 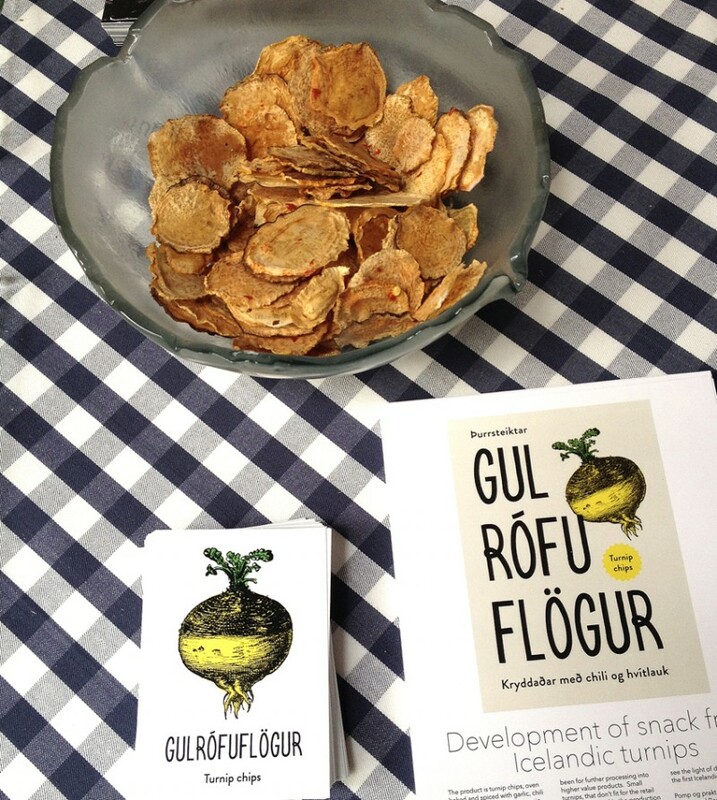 They felt the need for chips made from quality material that could easily be grown in Iceland. 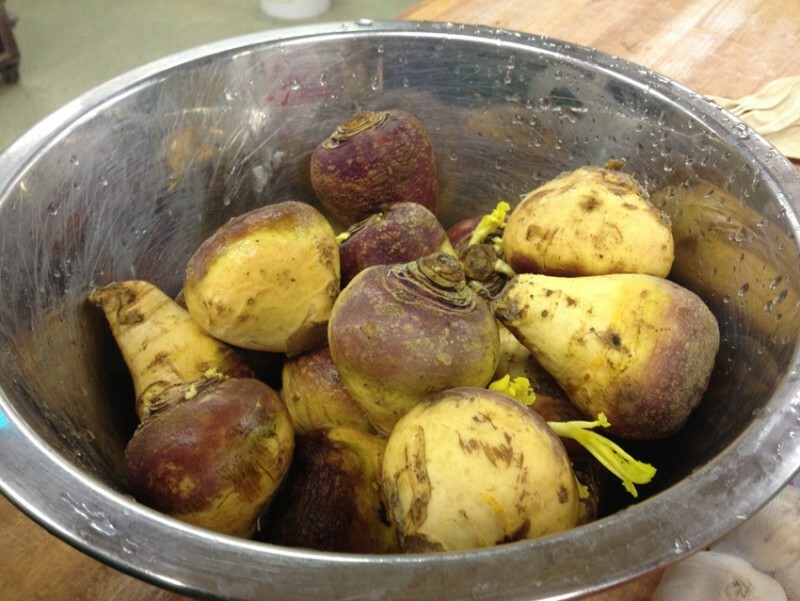 So they ended up experimenting with the Rutabaga. The Rutabaga is sometimes called “The Lemon of the North” because of it’s great source of vitamin-C. The Rutabaga is sliced and baked (not deep fried) and then it's spiced with fresh chili, fresh garlic, and sea salt. All recent taste tests of the product has absolutely evaporated from the bowls! The chips will be packed in boxes, labeled as Havarí’s Sveitasnakk. 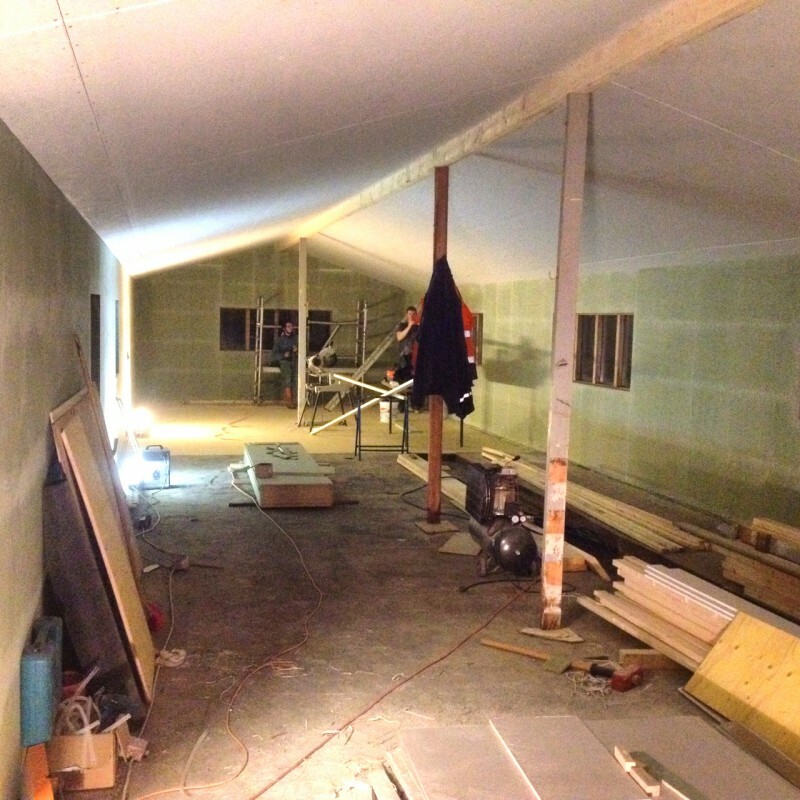 The aim is to put the chips in shelves this spring – but first the Chips Factory must be built! The construction has already begun. 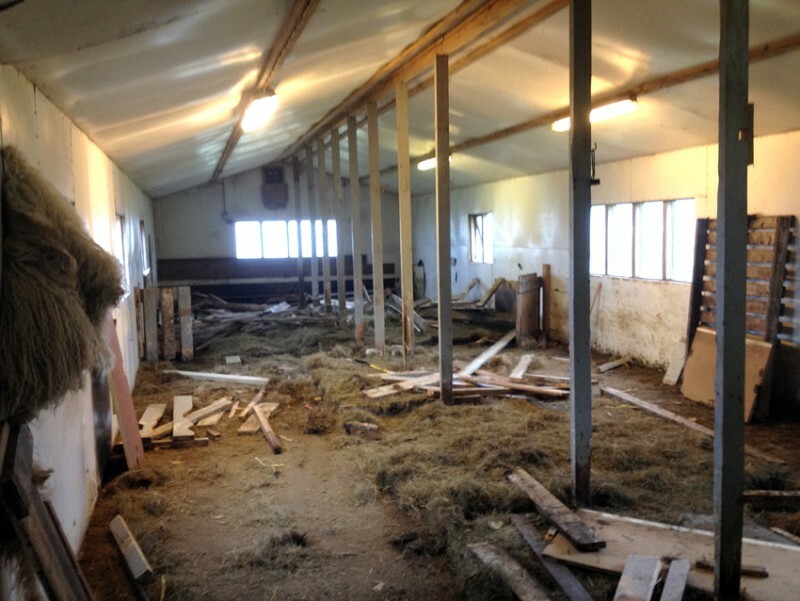 A former cowshed on the Karlsstaðir farm is being turned into a chips factory. The developement has been going on since October last year and now Svavar and Berglind are starting to realize that this operation can only finished with your help! So here is your chance to help this project come to life. In return you will be shipped a certificate and a box of chips from the first batch of Sveitasnakk. Or if you pledge even more you will have the change to visit the farmers, stay at their guesthouse, and have a private concert with the musician Prins Póló, followed by a delicious Bulsur feast! Þar til fyrsta uppskera lítur dagsins ljós munum við nýta rófur frá Lindarbrekku í Berufirði. 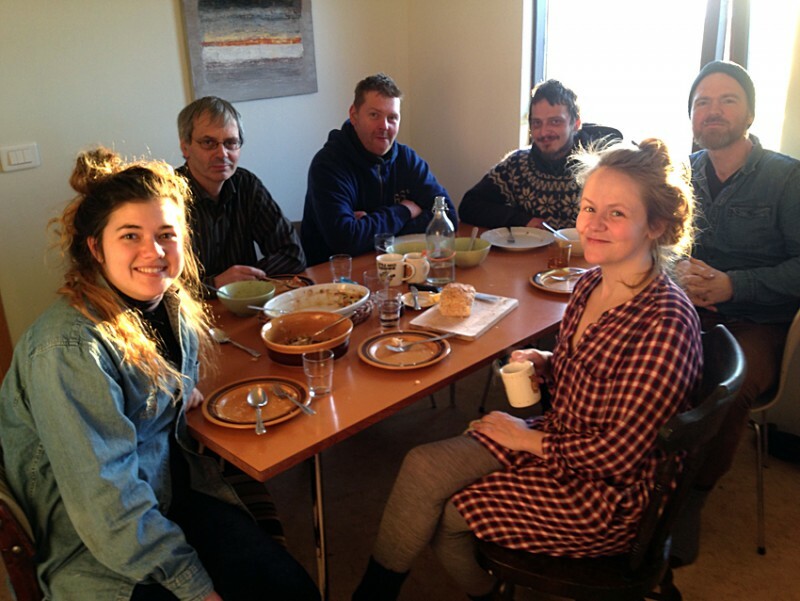 / Until we harvest our own rutabaga we will get them from our friends in Lindarbrekka in Berufjörður. Snakkverksmiðju draumurinn hefur þegar vakið talsverða athygli. / The chips factory has already gotten some media attention. 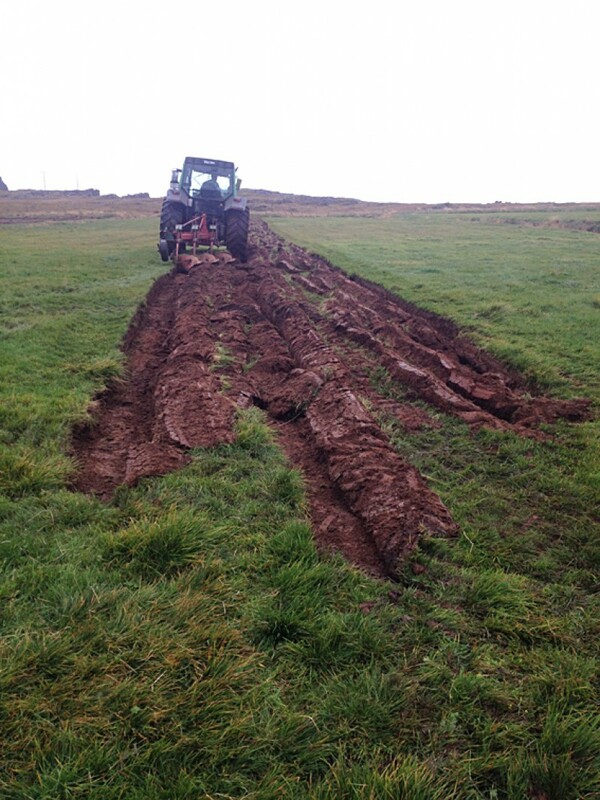 Svona var umhorfs í upphafi / This is how the old cow shed was in the beginning. 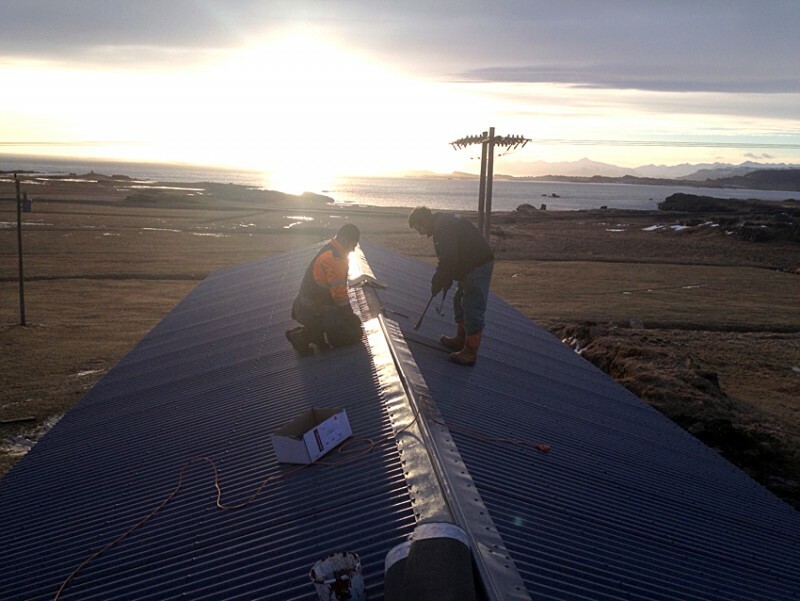 Góðir menn að laga leka / Good men stopping a leak. Mjög margt hefur áunnist, enn er þó talsvert langt í land. / A lot has been achieved, but there is still a long way to go. 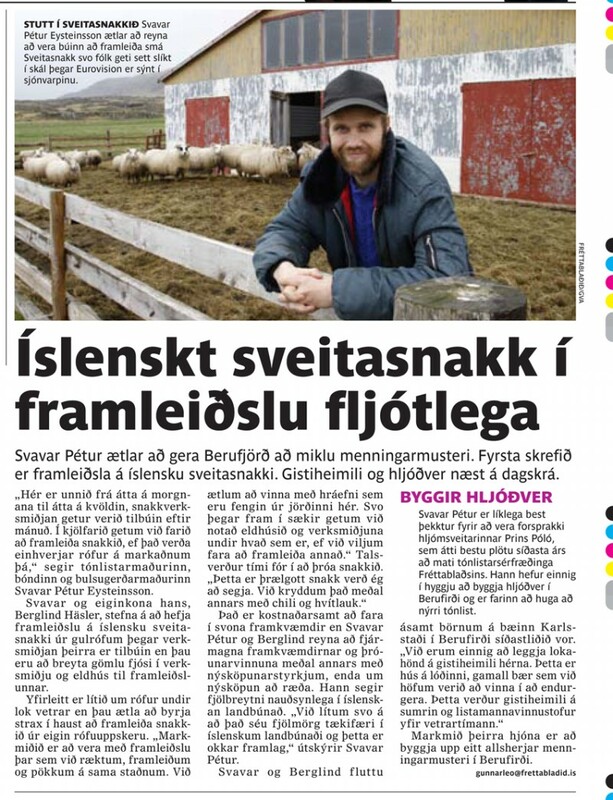 Margir hafa lagt hönd á plóg og verðum við þeim að eilífu þakklát! / Many people have helped us and we will be grateful for ever!